These colorful recipes add a splash of LGBT pride to all of your summer parties. Photo: Viktar Malyshchyts | Shutterstock. Summer is full of celebrations that call for a special recipe. These colorful recipes will help you to bring a little LGBT pride to all of your summer soirees. You could even call them healthy. Whisk the egg with the salt and seasonings. Flatten pizza crust into desired shape on a greased pizza pan or cookie tray, allow to rise for 15-20 minutes, and then brush with egg mixture. Spread marinara sauce on top, and two thirds of the cheese. 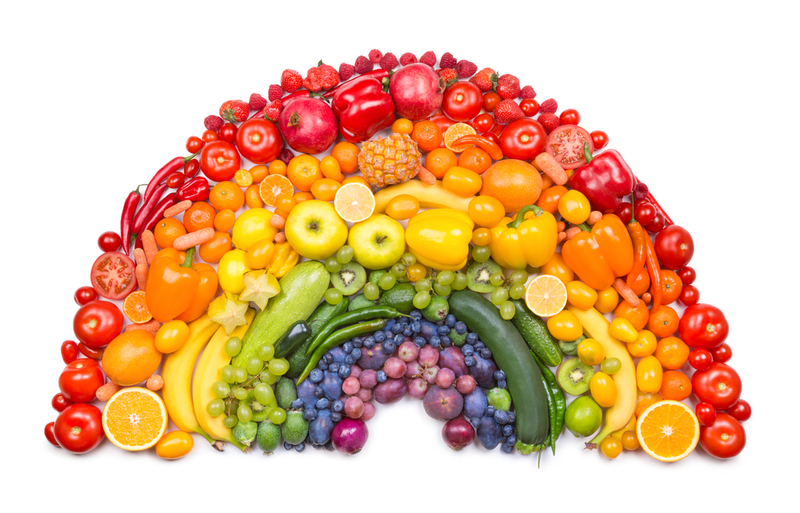 Now arrange your toppings in your rainbow. Red, orange, yellow, green, purple. Sorry, there’s really nothing blue that goes on pizza. You can make stripes, or concentric circles, or any shapes you like, really. Lightly sprinkle remaining cheese over the top (but not so thickly it hides your toppings), and put in oven. Back for 40 minutes, checking often to pop large bubbles in the crust. When the crusts look brown and the cheese has begun to darken, you’re done! Cut into slices, allow to rest for a few minutes so the cheese will set, and serve. Blue: Bananas and blue food coloring. Sorry, nothing blends blue. When it’s time to serve, spoon each layer by layer into a tall chilled glass, and add a few pieces of fruit on a skewer. Time to toast another year we’re all still here.